Have you insured your e-Rider? What would happen if you were in an accident or your bike got stolen? And what if you made a mistake on the road and injured someone else? 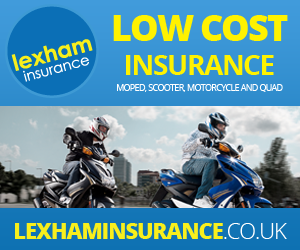 We have set up an excellent deal with Lexham Insurance specifically for E-Rider customers. The premium for a Model 15 (with a replacement cost of £1000), is just £67.36 per year or £6.29 per month.